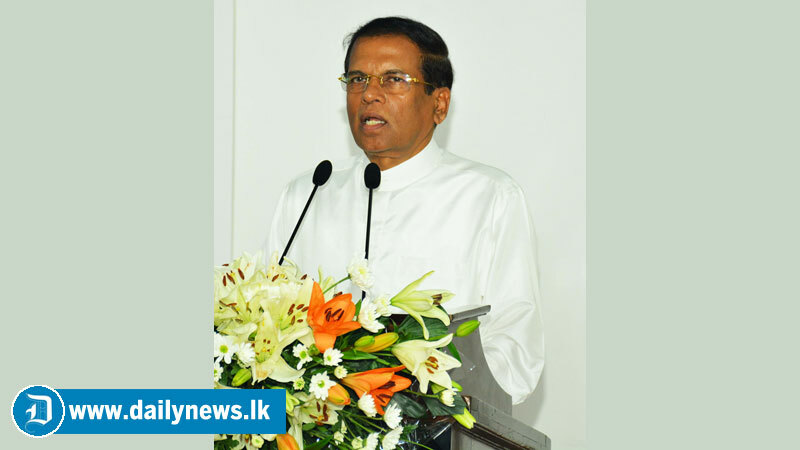 President Maithripala Sirisena highlighted that necessary acts to be passed in parliament relating to maintain a financial discipline aiming to wipe out monetary misconducts. The President made these remarks while addressing staff of the Finance Commission after commissioning a newly constructed office building for the Finance Commission at Rajagiriya today. With the new office building constructed at a cost of Rs 44.1 million the Finance Commission received a permanent resident after 30 year from its inception. Addressing the gathering the President further said that strong legal background is important to fight against frauds and corruptions. To reach the target of a corrupt free country, necessary laws should be passed in parliament especially relating to strengthen the financial regulations and administrative regulations. He highlighted the need of equal implementation of financial regulations to both the government and Provincial councils. During the past 30 year period provincial council system is in progress in the country but no proper evaluation process is done for assessing the productivity of the PC system. He added that he had suggested to conduct an evaluation or to conduct a study aiming to certain how much the PC system is fruitful to the country. Accordingly, such evaluation can identify plus and minuses, shortcomings, areas to be strengthened, whether any amendments to be done to the PC Act, whether any more power and resources to be granted and many more.